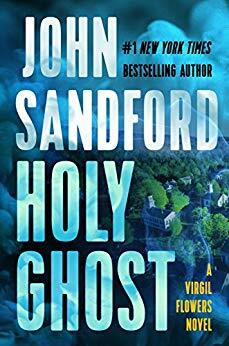 A killer is stalking Wheatfield, a miracle is seen at the local church and Virgil Flowers is on the case in Holy Ghost. The mayor of tiny Wheatfield Minnesota was selected as a joke. However, he and his teenage partner come up with a con that might just save the town. The Virgin Mary is appearing at the local church. The faithful are flocking into town. The general store recently opened by the con men is doing an excellent business. There is just one problem. Someone is shooting the faithful. Virgil Flowers, Bureau of Criminal Apprehension agent, is called in to track down the shooter. While Holy Ghost is a good police procedural, I missed the craziness that usually follows Flowers around. I enjoyed the plot and the characters. The comedy of country scammers figuring out who the killer was ahead of Virgil and the police was priceless. I was utterly wrong about the killer’s identity but I don’t see a way anyone could have figured it out before the reveal. While this isn’t the best of the series, Holy Ghost is still very good. While it will be frustrating to armchair detectives, it is recommended to thriller readers and fans of the series. 4 stars! Thanks to the publisher, G.P. Putnam’s Sons, and NetGalley for providing an advance copy in exchange for an honest review.